How many of your kids love to play with dirt and could spend endless hours outside? You can actually let them grow with you, learn something and yet let them enjoy the dirt. Gardening is one such hobby where the family can stay together, work, and let the kids have fun in their own way. This spring is a great time to start spending time outdoors with your kids and work on a spring flowerbed. However, how will you plant a flowerbed in the right way? How will you know which process will be safe for the kids? Take a ride with us create a spring flowerbed so that you can enjoy the whole summer with your kid’s creativity. 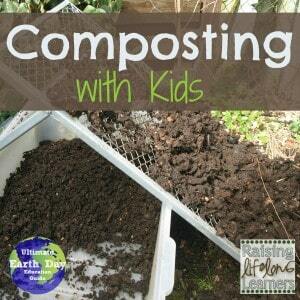 What will your kids need to work on the spring flowerbeds? Gardens are the best way to preserve the goodness of the planet. You can spread this education among your kids as well, by making them take part in the gardening activities. This spring, let them grow a flowerbed with you. Before you come with ideas for flowerbeds, make sure you know what type of garden you want. What will be the preparation time to build a flowerbed? Chalk down the details on the paper about laying a spring flowerbed with your kid. The preparation time will be around 30 minutes. You will need an hour to scout the garden along with that your plant needs few days to trip. What will be your activity time? You will require 3 to 4 hours depending on the size of your garden and the age of your kids. Plus, you need to allot an hour to half for maintaining your gardening on a weekly basis and this is something that is a great discussion starter with your kids when still planning so they know what their long-term investment is. Have a roundtable meeting with your family and look for the different option and ideas for your spring flowerbed. Decide which flowers you will like to grow. 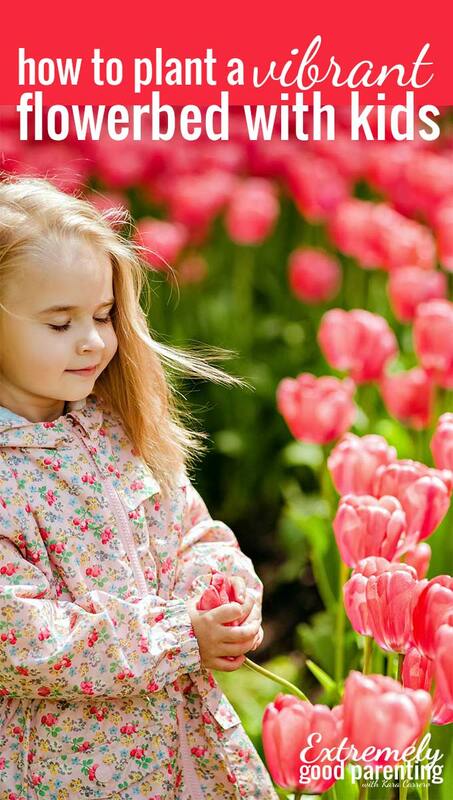 Maybe your kids have a favorite color or they’ve seen a flower they really like. Pick some geometrical garden or grow a garden along the trellis or the near the pond in a circle. Well, you can use a hula-hoop to have circle-patterned gardens. You can also plant a garden in a row such as violet, indigo, blue, green, yellow, orange and red. After you have planned the pattern and shape to your grow with the kids, next you need to get the plants. Take your kids to the hardware store and buy plants of their choice. Buy some starter plants as well, which you simply need to sow in the garden. As these plants, provide a little shade to the young saplings. Now take the seeds and head outside the plants. Make sure the soil is ready. If you have a larger garden, have it tilled before you take out your kids to the garden. Till-out the land at yourself, as tilling is no fun for your kids and it is stressful. As soon as the soil is ready, have all the seeds sowed where you both eventually planned. Get your kids involved in the process thoroughly. Direct them which seeds or starter to plant and in which place. If you have some plant foods, then ask kids to plant it in the hole you have dug, add some fertilizer in it and firmly fix it underground. Teach your children to not put fertilizer directly on the roots of the plant, as this will kill the plant. 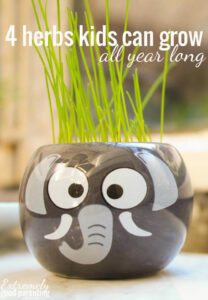 Have fun while gardening this spring with your kids! Are you ready to take the plunge? Do not stop them from playing with dirt, encourage them through gardening. Want a printout to help your family remember how to be greener? 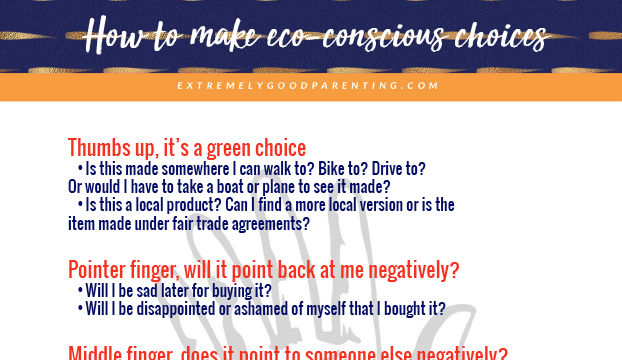 It’s a completely free PDF download detailing a simple way to remember eco-conscious decisions using your hand. You will get it plus weekly news! With the endless passion for organic living, Ann Sanders has come up with the idea of creating A Green Hand. Her goal is to provide everyone with a wide range of tips about healthy lifestyle including gardening, health & beauty. Previous Post: « In a world full of trash, how can we teach kids to be low waste?